In an intentional or inadvertent EduPunk vein, on December 31, 2011 Mike Frohlich gave a personal tour of his refined craft beer brewing operation to Nick Steffens and myself. 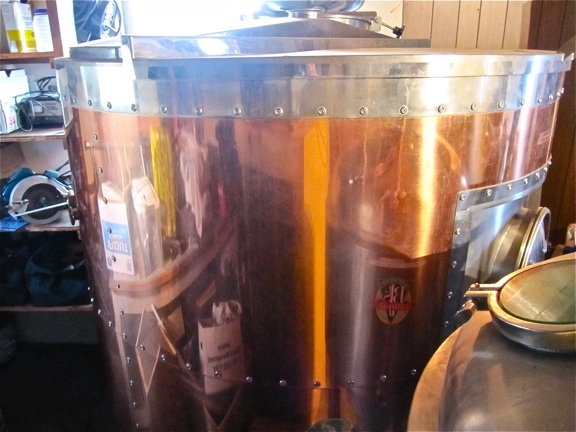 Without going into too many details (stuff about barley or hops from New Zealand, words like sparging and IBUs and EBUs, and so on), embedded is a short audio-video description Frohlich gave of his craft brewing operation. In addition to this are a couple still photos. One photo is sure to include some great craft brew and a skull ring (note: Christopher Bjorke formerly of the Bismarck Tribune but now with Mike Jacobs and Company — or formerly Mike Jacobs and Company — in Grand Forks wrote a great piece when with said Bismarck Tribune on Frohlich’s operation here). 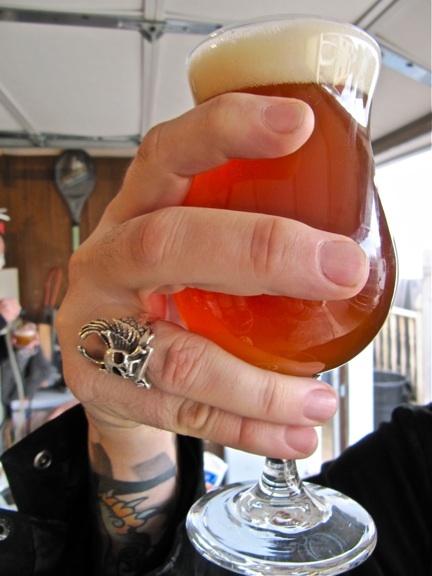 A nice glass of Frohlich's craft brew, skull ring and all. 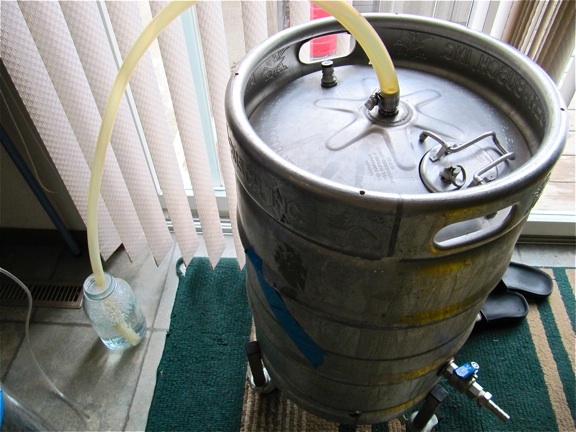 Another photo shows one of Frohlich’s several home brewing systems, this one indoors. And a final shot of his large vat that will eventually contribute to the rise of a brewery somewhere in Bismarck, North Dakota. One of the great things about getting a personal tour of Frohlich’s craft brewing operation is that our glasses of beer were never allowed to get half-empty without Mike asking if we were doing all right. This entry was posted on Wednesday, January 4th, 2012 at 9:34 pm	and posted in Uncategorized. You can follow any responses to this entry through the RSS 2.0 feed.